the latest from EnviroMed Design Group: Newsletter Archive- Are You Listening to the Correct Expert? Newsletter Archive- Are You Listening to the Correct Expert? Are You Listening To The Correct 'Expert'? More than likely you understand that surrounding yourself with a good team greatly improves your chances of success. In your office the members of this team can include dental assistants, hygienists, lab technicians, office managers, and various other staff personnel. In addition, your business team typically includes an accountant, an attorney, and in many cases, a practice management consultant. The question is: Would you ask your hygienist for tax-saving strategies? Or, would you seek the advice of your accountant for ways to improve procedure acceptance rates? Probably not. And, the reason for this is simple. A team member’s expertise in one area does not necessarily translate into another. That is why, when analyzing the optimal size and layout of the office, the best way to finance a project is to restructure your existing debt, or simply determine how much debt you can afford. 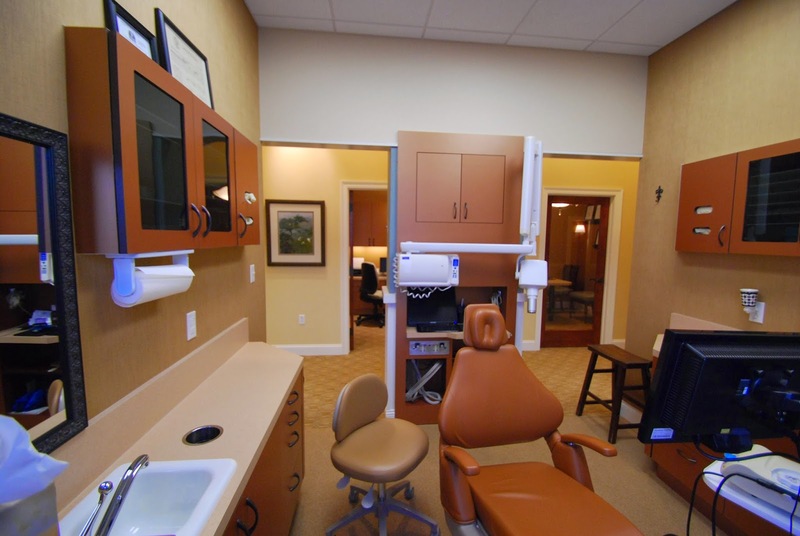 The best practice is to engage the services of experts who specialize in dental office design and commercial finance. Do not let your loyalties, or the egos of existing team members sway you from seeking expert advice. Here’s an example. A Finance Geeks client was recently offered financing from two separate lenders to finish out a new leased office space. After reviewing the information with his accountant, he was advised to move forward with the 7-year loan versus a loan of 15 years, simply because the interest rate was 1.50% lower. When the client suggested that the resulting cash flow would be tight because of the higher debt payments, the accountant advised that he should forego his retirement contributions in order to service the new debt until his practice grew and cash flow sufficiently increased. What?! Delay retirement contributions?! Delaying a $3,000 per month retirement contribution for just 5 years results in over $1,000,000 LESS in a retirement nest egg 20 years later. This is the cardinal sin of wealth creation and can result in the loss of millions at the time of retirement. I am certain that this accountant is very good at what he does. Otherwise, the client would not continue to keep him as part of his team. However, this is a prime example of what can occur when advice is solicited from the wrong expert. Determining the actual cost of building a dental office and deciding on the correct debt structure are only reasons why you should surround yourself with a team of experts during the office project. To be honest, I could probably list another 50 reasons but they all boil down to one resounding theme: “You don’t know what you don’t know.” Unfortunately, many dentists find this out only after they have accepted advice from the wrong expert or have made numerous mistakes on their own that have cost them several thousands of dollars. In many cases, the doctors will never recover financially. What is the optimal square footage for your office based on your practice performance? What is the REAL cost of building that office? How much can you afford to borrow for your project? Is it better to lease or own? If building an office, how much land do you require? What are the required set-backs? What is the estimated cost for your office and equipment? What is the financial GAP for your project (and, believe me, you’ll have one)? These questions and more need to be answered before you move forward with your project. Do you know the answers? One of my favorite sayings is “intelligence is no substitute for experience”. If you’ve tended to be successful at everything you have done, you may be at risk for thinking your success in one area will be applicable in another. Expansion projects involve the highly specialized areas of design, construction, real estate and banking. Hiring a team of Experts to take you through the process may be the edge you need to come out on top and will help you avoid the numerous $100,000 mistakes that are possible. For more information on hiring a team of experts to help you explore your options and empower yourself with knowledge BEFORE potentially exposing yourself to enormous financial risk, consider EnviroMed Design Group’s Project Evaluation Service. Click here for more details.